– How did you come to crossfit? How did it start? – It is simple: I used to play football, participated in tournaments, I read that you need to exercise in a gym to remain fit. When I didn’t have football matches, I was exercising in a gym, and I read about crossfit as I was looking for ways to improve my physical shape. At first I decided to start crossfit on my own, and later I came to a coach Yurii Zhurakovskyi – he is the one who taught me the basics of crossfit. It was about 3-4 years ago, and soon I switched completely and crossfit became number one on my list. It turned out to be less traumatic than football, which is a contact sport. Also football matches and trainings on artificial surfaces had their impact as well – my knees were suffering. I started feeling much better after I took up crossfit. – Do you train on your own or with a coach? – I train on my own, I only come to a powerlifting coach to help me fill the gaps, since it is best to set the base with an expert. I do not prepare specifically for a competition – I am not a professional, I am just another “white collar” (smiles). I work during a day, that’s why I use English-language websites with detailed instructions on trainings. You simply need to stick to one program and one direction over a long period of time to see you progress. – Last year you became a winner of Kyiv Battle 2018 in the category “Amateurs”. Was it your first crossfit competition? – No, in 2017 I took the second place in Kyiv Battle, so I did have a certain amateur competition experience. Once again, I did not prepare specifically for a competition, but I already knew what to expect. I was watching athletic programs that prepare for competitions of the Open stage, which correspond in time to Kyiv Battle. – How should you start preparing for a competition and how long does it take to get ready? – It is best to start two-three months in advance, start with improving your strength indicators, then bring your conditions to perfection to improve your endurance. And two-three weeks before the competition lower your pace for proper restoration and feeling refreshed. One week prior to the beginning of competition decrease your workload by 50-70%, only go for a jog to breathe and work with light weights just to keep toned up. This way you will be able to give your best at a competition. 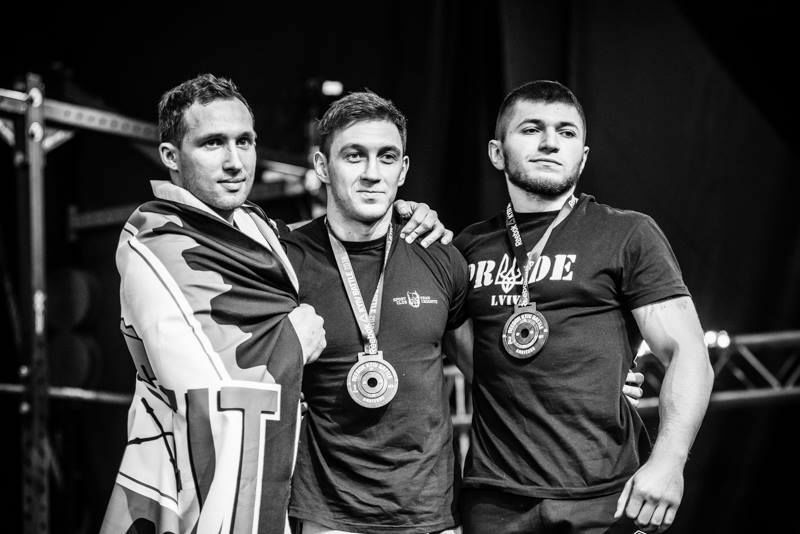 – Tell us about your nutrition before and during a competition. – Your meal on the day of the competition in the morning should be balanced: you should have carbs and a little protein – for example, I prefer buckwheat. And during the day in between the complexes have some fruits, especially bananas. Three hours before the start it is best to avoid eating, it is best to perform exercises and complexes on an empty stomach. You can also take BCAA or isotonic drinks that help you restore. And, of course, watch your water balance and make sure you drink enough liquids. – How do you find time for trainings? – I mostly train after work and on weekends. Sometimes there are work emergencies. Once I couldn’t train for four days, because I basically spent nights at work. Of course, what matters is stability in training. Usually I have at least four trainings a week. It all depends on how fast you restore: if you don’t sleep enough and wake up early, this process takes longer. Check how you feel, since often at the end of your work day you feel so exhausted that there is no energy for a training, especially if you feel emotionally drained. That is why crossfitters say: “better skip a meal than sleep”. In situations like that it is OK to skip one day of training to give a chance for your body to restore not to crash when you least expect it. It applies to ordinary people who are not doing crossfit professionally. – How did you perception of crossfit change compared to when you were just starting? – When I just took up this sport, I avoided all powerlifting elements, because I didn’t know proper performance technics, and powerlifting itself didn’t really attract me, I thought I didn’t need it. I started adding it later. Then I started liking that all trainings are combined, they are a collection of various sports – gymnastics, barbell, rowing, cardio etc. This variety and versatility attracted me and was interesting. Monotonous moves get old, but when you add something new every time, it is psychologically easier to work. 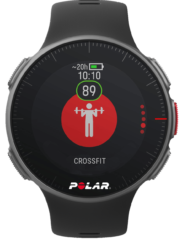 Basically, one of the main trademarks of crossfit is that the training process always brings something new, a new exercise, and then you start looking for a better way to perform it – it is an interesting process. – How did your life change after you started crossfit? Does it help you in everyday life? – First of all, like any other sport, crossfit disciplines you – you start watching what you eat, how you train, follow a schedule etc. All of this is easy to apply in everyday life. For example, if you properly plan your meals, you will see the result in a month. If you train for a month, your performance of a certain exercise improves. It is impossible to achieve it in a day or two. The same applies to anything: if you have a project at work or you need to research a certain problem, it is impossible to do it in just one day. Of course, it is going to be a slow monotonous work for a few hours every day for a month, but you will be improving your skills. The same principle applies to studying foreign languages. When you see something in training, of course, you start applying it in everyday life. Also crossfit develops moral stability, helps you believe in yourself when you win and motivates you and pushes you to improve your skills and move forward when you lose. Well, the advantages are endless if you approach it wisely. – Do you plan to move onto the category “Professionals”? – Yes, I will try. Maybe I am mistaken, but it seems to me that an ordinary person who doesn’t do crossfit professionally needs more time for this transition. I plan to try myself in the professional category, but we’ll see if I have enough time for that. Crossfit is not the main part of my life: I have a job that feeds me and a family that I love. Even now my wife tells me that I am sick, because I take trainings too seriously (smiles). So far I have the energy and the desire, so I will try. – For you personally, crossfit is a sport for life or is it means to achieving a certain goal? – I don’t have a specific goal. Crossfit is diverse, even if you move away from the competition component, you can do crossfit just to keep yourself in a good shape. When you do crossfit for yourself, you will feel healthier, more energized, you don’t even have to participate in competitions. This sport can be applied anywhere, in performing local routine tasks. It is always good to move, so you must force yourself to do it in your free time, especially if your work leads to a sedentary lifestyle. Good physical shape never hurt anyone. I believe that crossfit is a perfect choice to keep fit. 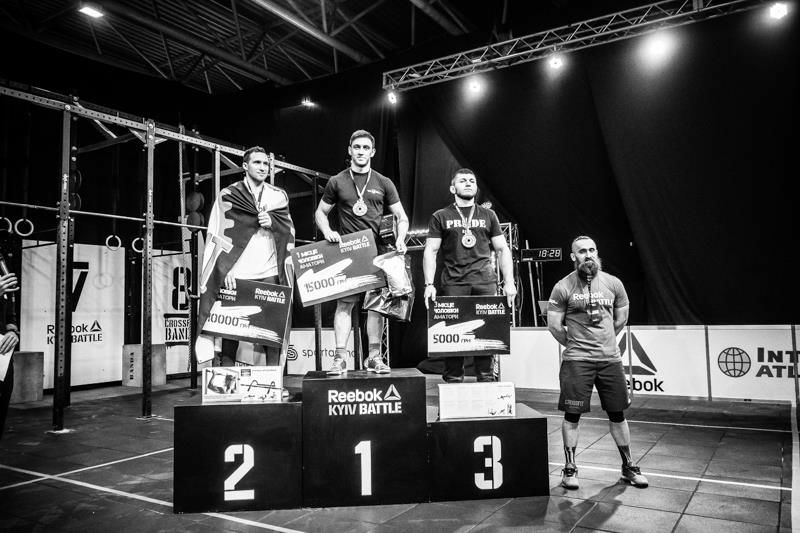 – Are there crossfit athletes you would like to compete against? – I never thought about specific names. There are many good athletes in Ukraine, but I don’t have an idol. I watch foreign athletes more, for example, there are “monsters” in this sport in the USA, they are a few years ahead of us. And to try yourself, you simply need to register for the Open stage, and you will see how you measure against others. You will find out not only how far behind you are and in what areas, bit also learn how people train, why they are so functional etc. – Do you have any advice for the athletes participating in Kyiv Battle 2019 for the first time? – First of all, never get upset. Any result should motivate and push you forward. There are many people who feel psychologically pressured and give up if they try and fail. You must prove yourself that you can do better. As to the competition itself, I would recommend to develop a strategy and devise a plan before starting any performance instead of rushing headlong. A thought-through plan will be your best helper. Even if it is not perfect, it can still be a good experience for the future. Any participation in a competition is worth it just to experience it, realize it and survive it.